Blowout Sale! 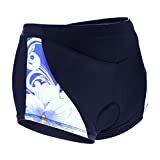 Up to 52% off on Active Underwear at Felicianeo. 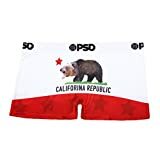 Top brands include ExOfficio, IyMoo, Nearory, Ollie Arnes, Gotoly, Calvin Klein, Under Armour, Jockey, PUMA, Anemone, Woolly Clothing Co, PSD Underwear, TOP LEGGING, Runderwear, & New Balance. Hurry! Limited time offers. Offers valid only while supplies last.